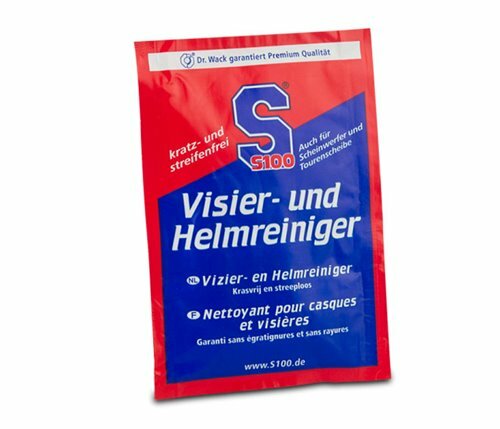 S100 Visor and Helmet Cleaner used with a wet cloth instantly removes grime such as insects, dust, rust and road film without leaving any scratches. The drying towel leaves a clear, streakless transparency. Also suitable for the headlight and windscreen. Put out a 10 pack as a prominent attention-grabber for fast sales.